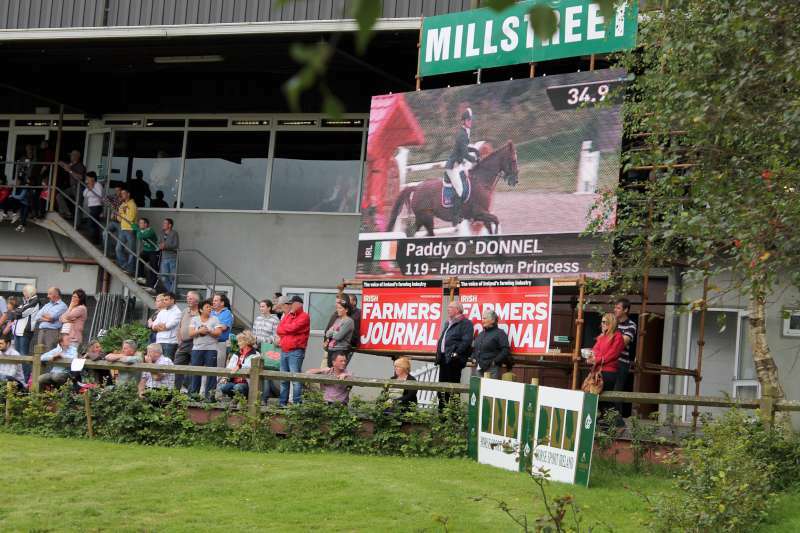 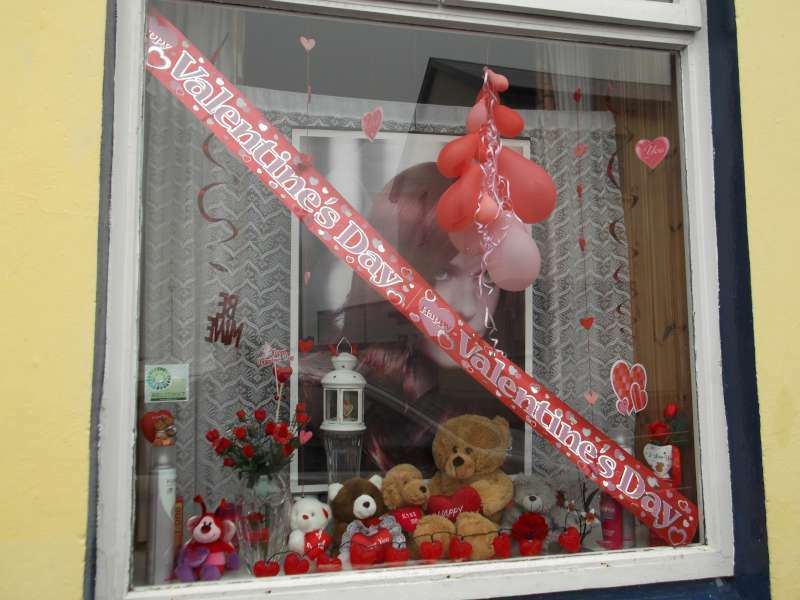 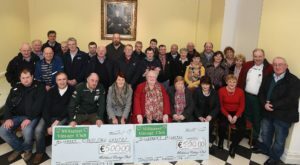 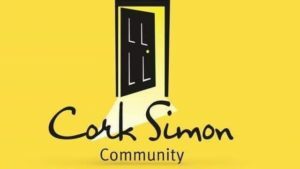 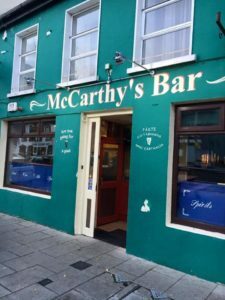 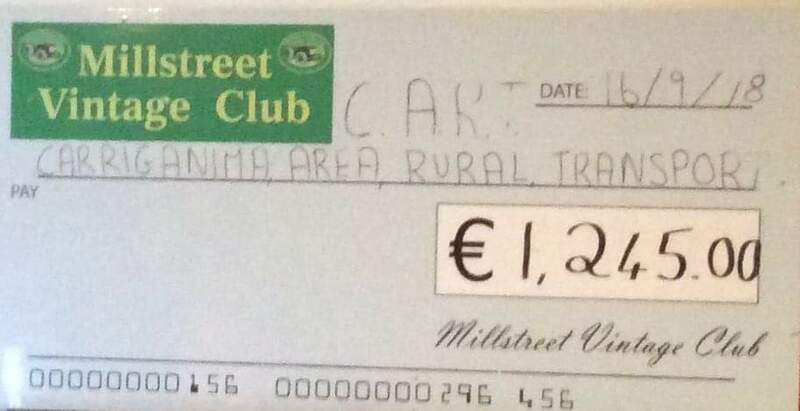 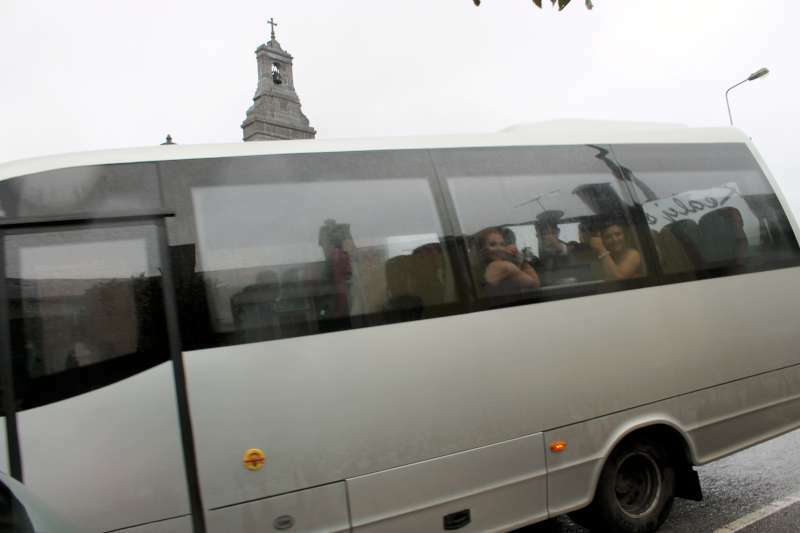 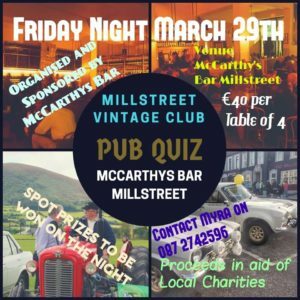 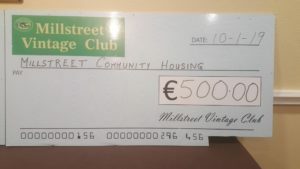 A Cheque for the final figure raised will be presented by Millstreet Vintage Club to The Cork Simon Community in Millstreet on Friday Night Feb 22nd at The Wallis Arms Hotel in Millstreet at 8pm,Everybody Welcome. 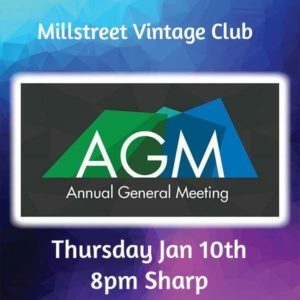 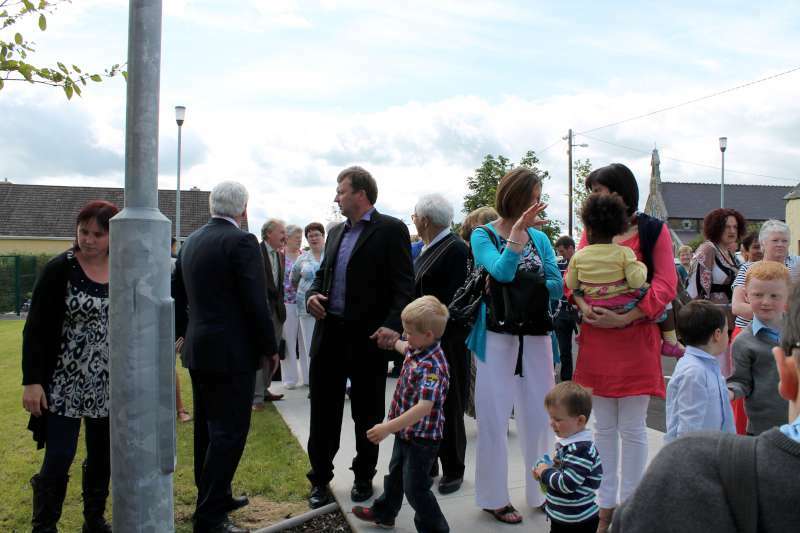 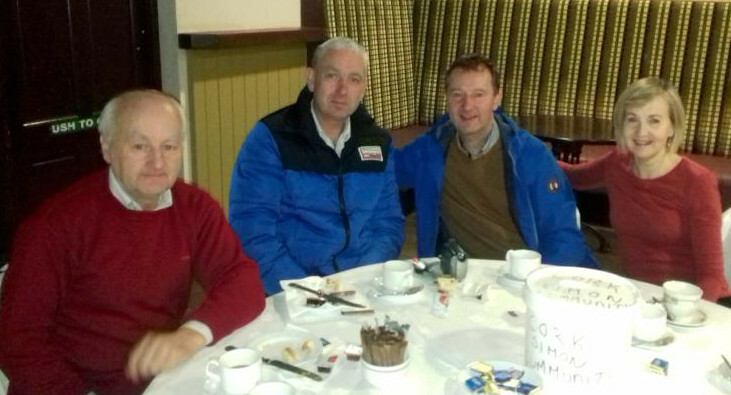 Millstreet Vintage Club held a very successful AGM at The Parish Centre in Millstreet on last Thursday Night Jan 10th. 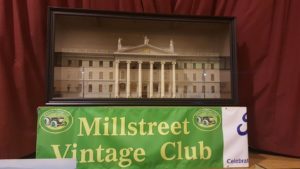 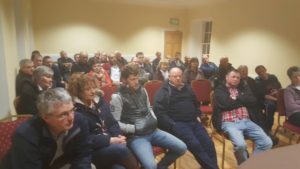 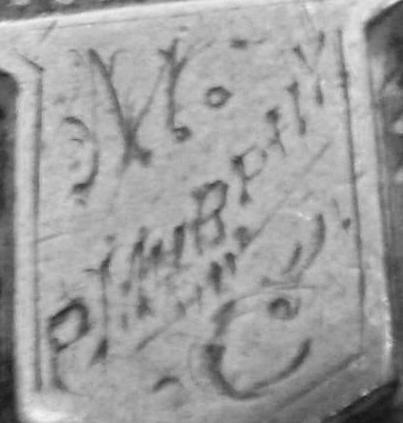 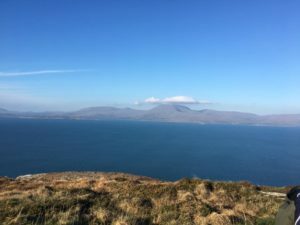 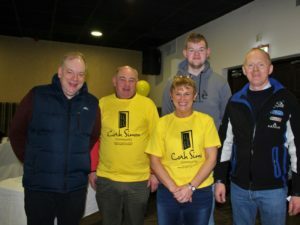 There were close on 40 people in Attendance comprising of both current Club Members and also a significant number of New people who also became Members of the Vintage Club on the Night at the Meeting as well. 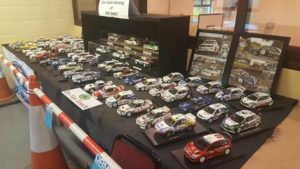 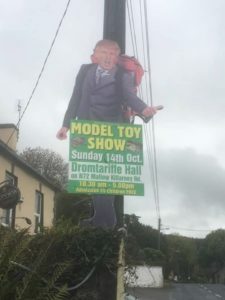 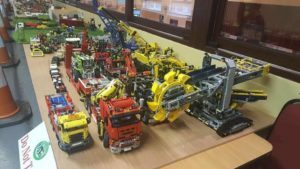 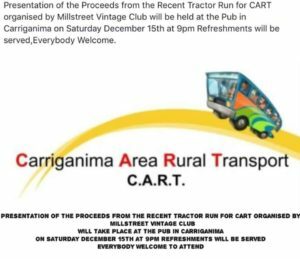 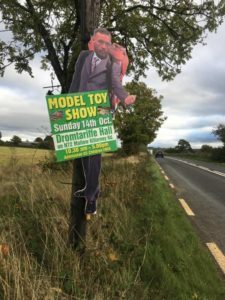 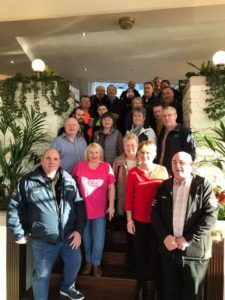 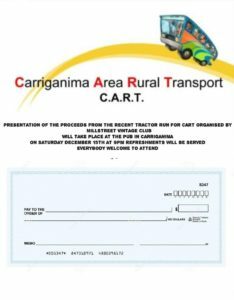 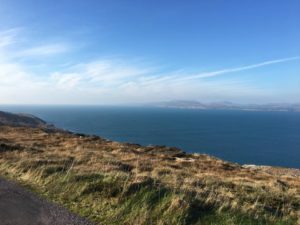 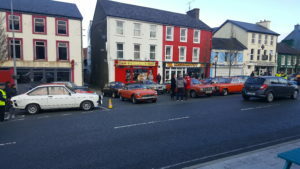 Dan O`Riordan Club Secretary outlined and recapped on a very successful and busy year for the Club in 2018 with many great events being held including a highly successful Charity Truck Run,Car Runs, Tractor Runs, Barbeque, Cars/Chat/Coffee Morning,Model Show etc taking place and as a result the Club raised over €6,500 along the way during the year as well for some very worthy Charities which included a presentation to both Millstreet Hospital and Millstreet Community Housing of €500 each before the AGM took place on Thursday Night last. 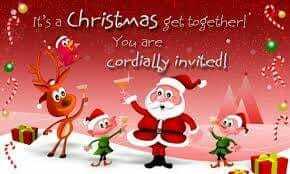 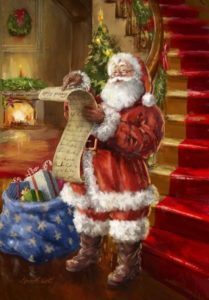 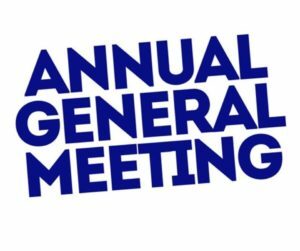 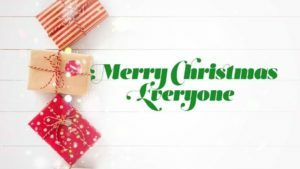 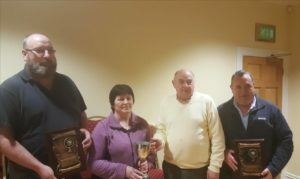 Myra Sheehan Club Treasurer gave a detailed Financial Report for The Year while Club Chairman Donie Lucey in his address thanked all Club Members,Fellow Committee Members and anyone else who helped and supported the Club during the Course of the past Year gone by. 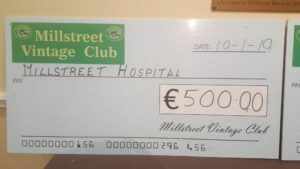 Millstreet Vintage Club presented Awards on the Night for the Best Vintage Car to be brought out for the First Time during 2018 by a Club Member,the overall Winner of this was Mary Keane with both Willie Fitzgerald and Peter Dineen taking the Runner Up Awards in this Category. 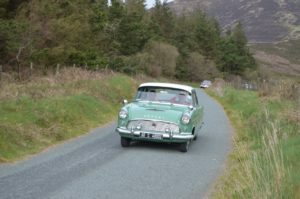 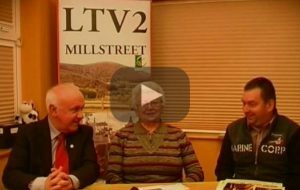 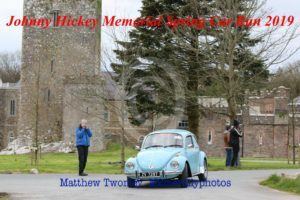 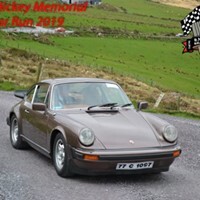 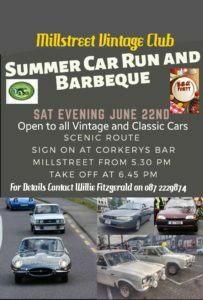 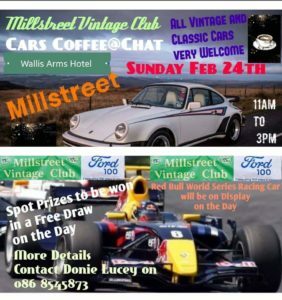 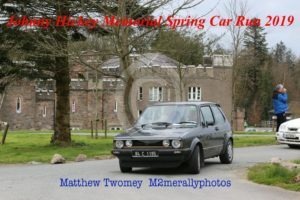 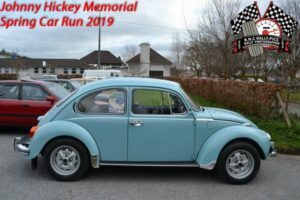 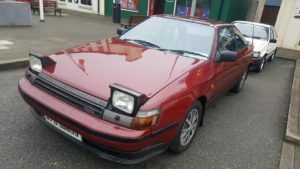 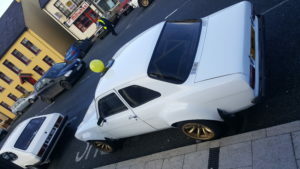 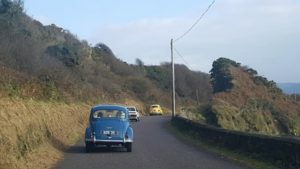 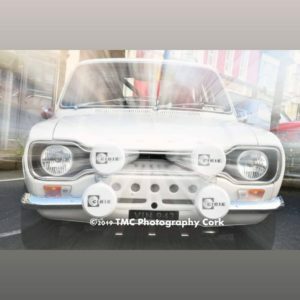 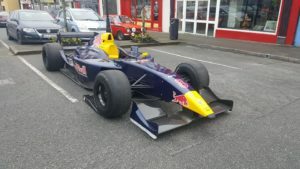 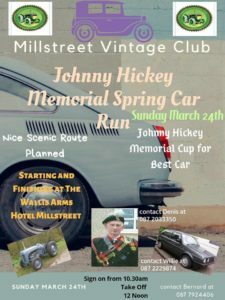 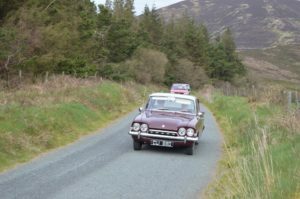 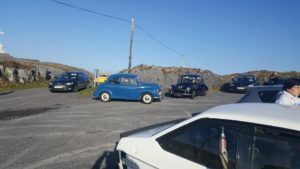 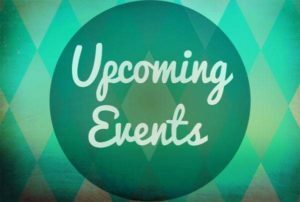 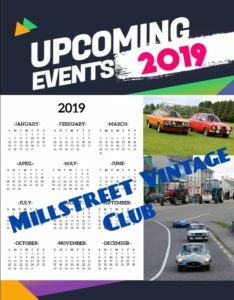 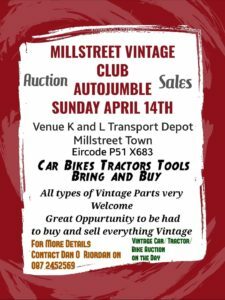 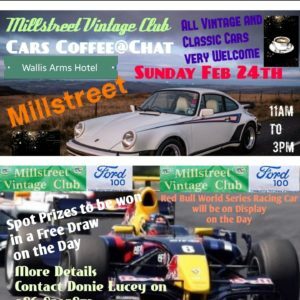 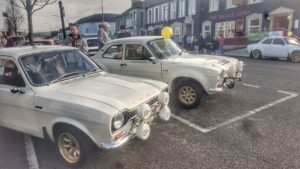 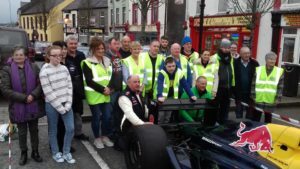 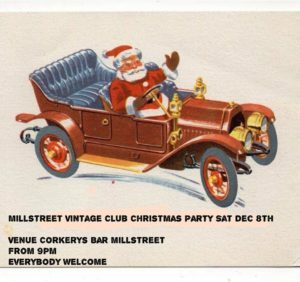 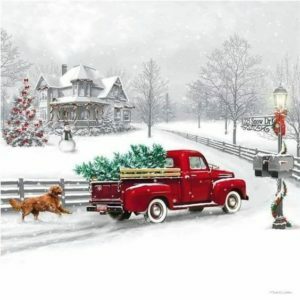 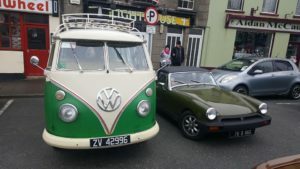 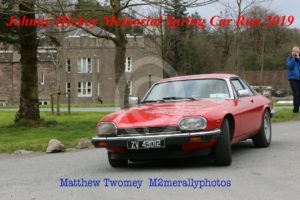 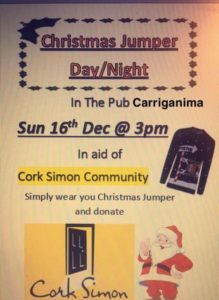 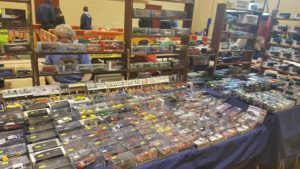 Millstreet Vintage Club are again planning on having a Busy year in 2019 with many of the Events held during 2018 being planned again for the coming Year with the first Event of 2019 taking place on Sunday Jan 20 which will be a Cars/Coffee/Chat Morning in aid of Cork Simon Community which will be held at the Wallis Arms Hotel starting at 11am, further details of this Event and all the other Events to take place during the coming Year will follow shortly. 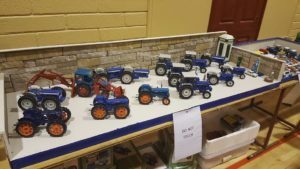 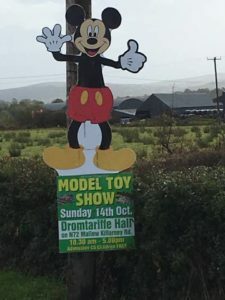 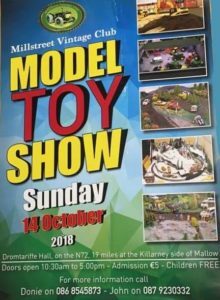 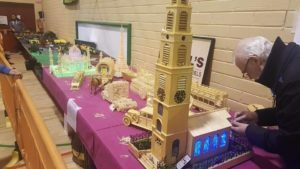 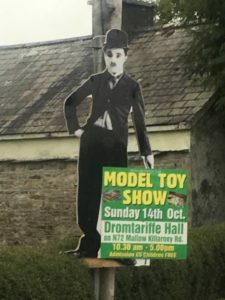 The Millstreet Vintage Club Model Show held in Dromtarriffe will go down as being the biggest Model Show so far held by the Club,Event Organisers Donie Lucey and Johnny Flynn of Millstreet Vintage Club wish to thank all the Exhibitors who came from all over the Country from both near and far and supported what was a most enjoyable Show over in Dromtarriffe Hall yesterday,with over 70 Trade Stands on display there was something for Everybody to see and the Event was also blessed with fantastic Weather Conditions on the day,also a very big thanks must go out to all Millstreet Vintage Club Members and Friends who helped in anyway or supported the Model Show over the weekend,there was a lot of work to be done from setting up the Hall on Saturday,the moving of all the hardware to all the different locations,the Paperwork/Registration work that was carried out,the busy Catering Team who kept everybody fed and watered over the weekend,the Stewards who kept the the Event Running so smoothly throughout the day,and to all the people that took everything back down again once the Show had finished,we would like to thank each and everyone of ye for your invaluable help on what was a very busy weekend,also many thanks to the Photographers and Media who came along to record the days activities and also a very big thanks must go to the Ballinagree Vintage Club Members who came out in force to help us on the day which was very much appreciated,this was the BEST SHOW yet and without everyone’s help and support this could not have been achieved,we look forward to seeing you all again next year,thanks again from Donie Lucey and Johnny Flynn.